The Siege of Malta was a military campaign in the Mediterranean Theatre of World War II. From 1940 to 1942, the fight for the control of the strategically important island of Malta pitted the air forces and navies of Fascist Italy and Nazi Germany against the Royal Air Force and the Royal Navy. Malta was pivotal to the North African Campaign. British Prime Minister Winston Churchill called the island the "unsinkable aircraft carrier". From Malta, British air and sea forces could attack Axis ships transporting vital supplies and reinforcements from Europe to the Axis forces in North Africa commanded by General Field Marshal (Generalfeldmarschall) Erwin Rommel. Rommel warned that "Without Malta the Axis will end by losing control of North Africa". The P-40 was the best known Curtiss-Wright designed airplane of the Second World War. 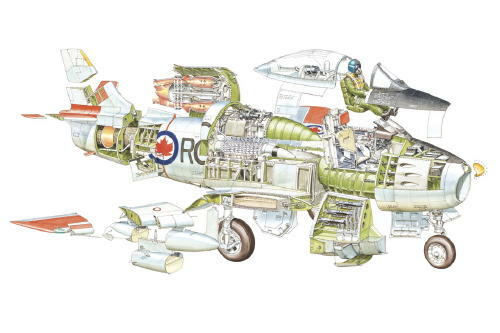 It was also one of the most controversial fighters, vilified by many as being too slow, lacking in maneuverability, having too low a climbing rate, and being largely obsolescent by contemporary standards even before it went into production. The Hawker Hurricane was the first monoplane to join the Royal Air Force as a fighter aircraft, capable of reaching speeds in excess of 300-mph in level flight. Often compared with the sleek-looking Supermarine Spitfire, the Hurricane, in actuality, shouldered the brunt of the fighting during the "Battle of Britain", equipping more than three-fifths of the RAF's Fighter Command squadrons. The Piaggio P.108 Bombardiere was an Italian four-engine heavy bomber and the only one of its type to see service with Italy during World War II. The prototype first flew in 1939 and it entered service in 1941. It was one of a handful of Italian combat aircraft that could match the best manufactured by the Allies. The Savoia-Marchetti SM.79 Sparviero (Italian for "Sparrowhawk") was a three-engined Italian medium bomber with a wood-and-metal structure. Originally designed as a fast passenger aircraft, this low-wing monoplane, in the years 193739, set 26 world records that qualified it for some time as the fastest medium bomber in the world. One of the only biplane fighters to have any measurable success in the Second World War, the Gloster Gladiator was the product of a bygone era combining with modernity for one last fling. The Gladiator was obsolete by September 1939, but it still had what it took to make a significant impact on history. Air Ministry specification F.7/30 realized (correctly) that future fighters were going to be faster and better armed. Developed as a private venture by the Bristol Aeroplane Company, the Beaufighter was a two-seat all-metal fighter using components from the Beaufort torpedo-bomber. First flown on July 17th, 1939, the Beaufighter eventually equipped 52 RAF squadrons, giving outstanding service during World War II, in particular as a night-fighter and torpedo-bomber (where the aircraft were affectionally known as 'Torbeaus'). Our Price: $61.99 Sold Out! Our Price: $70.00 Sold Out! Bristol Aeroplane's Blenheim was a British high-speed light bomber used extensively in the early days of the Second World War. It was later adapted into a successful heavy fighter. A Canadian-made variant named the Bolingbroke was used as an anti-Submarine and training aircraft. Our Price: $89.99 Sold Out! When World War I ended, the German Air Force was disbanded under the Treaty of Versailles, which required the German government to abandon all military aviation by October 1st, 1919. The Luftwaffe's Junkers Ju 88 was a twin-engine, multi-role aircraft. Among the most versatile planes of the war, it was used as a bomber, close-support aircraft, nightfighter, torpedo bomber and reconnaissance aircraft. Our Price: $99.99 Sold Out!